When should your child first go to a dentist? One of the first things new parents do when they get home from the hospital with their newborn is book an appointment with their family doctor or pediatrician. Getting your child checked regularly in their first few months is essential to their overall health and well-being. 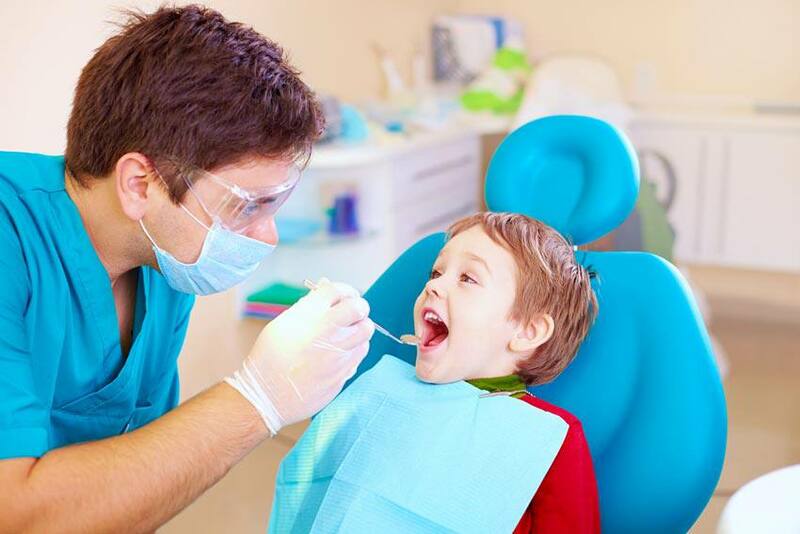 However, many parents are less sure about when they should take their child in for their first dental checkup. How long should they wait to make an appointment? Should they wait until they have teeth? Establishing proper oral care habits is also important for your child’s health. The general consensus in the medical community is that children should see a dentist within six months of getting their first tooth. For most babies, teething begins around the six-month mark, and some as early as four months. This means that your baby’s first appointment should take place around their first birthday. Early detection of oral issues: It gives your dentist the opportunity to identify current or potential issues and fix them before they become long-term dental issues as your child ages. Establish good oral care habits: Visiting the dentist with your child gives you an opportunity to talk with the dentist about what you should be doing to help establish good oral care habits for your child. Your dentist can also talk with you about things you should be conscious of as their teeth grow. Creating a good dental experience: It’s no secret that many children are not fans of the dentist. Taking them to see a dentist early in life helps them become more comfortable with the experience and know what to expect during future visits. While it’s recommended that all Canadians, including children, visit the dentist twice per year, many don’t, often because they don’t have sufficient dental insurance coverage. Blue Cross dental insurance coverage is available in a number of flexible and affordable options to meet your family’s needs. For information on health insurance plans available to you, contact us today, or get a free quote online.